We have already experienced some great web designs in 2017, some with awe-inspiring colors, typography, video and content. 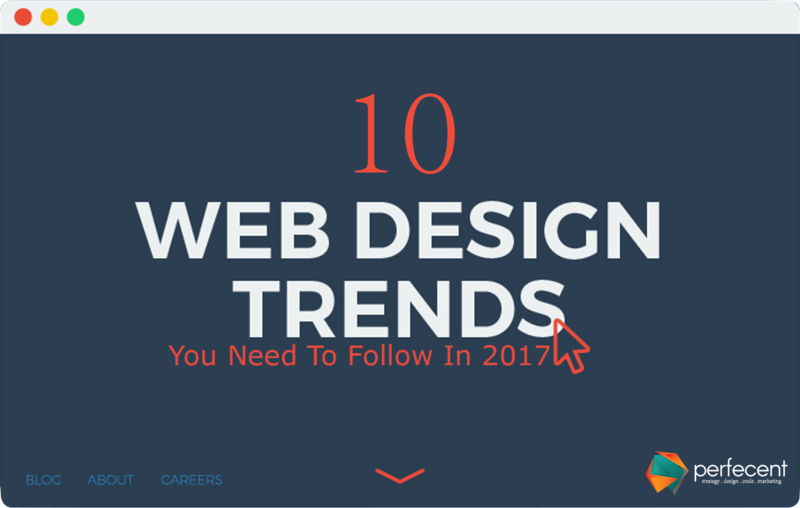 Let’s look at the top ten design trends that seem to be gaining a significant amount of popularity in 2017. Videos are gradually taking over the content space of websites. A recent study suggests that 74% of all web traffic will come from videos in 2017. That’s literally three quarters of all web traffic generated through videos. Today nearly all businesses are working towards having their web content to be showcased through videos. It is for certain that this year websites will feature more full-screen high-res videos, along with bite-sized pieces specifically aimed for educating, sharing, and inviting users to the website. Mobile first is no longer a feature, it has become a vital requirement for all businesses. The use of mobile devices has increased so drastically over the span of a couple of years that companies not having mobile friendly websites are significantly losing out on customers. The use of bold typefaces is slowly fading away, customers are more attracted towards subtle typefaces nowadays. This use of beautiful type has penetrated the mainstream online community in such speed that the bold typography has lost its charm almost completely. The negative space around content has become noticeably larger, and this is the result of the increasing number of mobile users because we have become used to long sweeping scrolls. Even though in the past it was considered vital to fill up as much space as possible, nowadays that trend has taken a 180 degree turn. More negative space also gives other design elements space to breathe which helps in creating harmony in the overall design. Customers love what can be accomplished through the simplicity of GIF animations. Advertisers are cornering the market on these goldmines. Although GIFs make for great comebacks with friends in a text messages, but it is also an extremely practical and expressive tool for web design. Brands these days are gradually moving away from collapsible options for everything, into a layout rooted more towards visual design and flow with photo centric grid layouts and even though there’s much room for improvement, it’s a step in the right direction towards more visual menus. Stock pictures have become a thing of the past, most of the companies now days are moving towards authentic photography for their inventory pictures which gives more room for tweaking and customizations. Subtle colors just don’t cut it for web design because of the immense numbers of websites with bold, in your face color schemes. After all, websites are a form of visual media, and it’s interesting to see the color combinations that are being used by multiple web designers. With the increasing use of big typography, bold colors are popping up and demanding more attention. The use of duotones is something to tacky and yet users love it, it has become a fast growing trend that is being used a lot by web designers everywhere. We can be sure to see more websites combining their authentic photos with bold colors for a greater visual impact for the viewers. A study shows that the waiting time spent for a website to load is less than 2 seconds before the user moves on to the next site. This is very important for businesses to take in account because they lose potential clients just by having a slow loading website. After all said and done, the above trends are sure to take over the design world this year. Having said that, there is always room for something new and exciting that is outside the realm of current trends.